I’d worked in aviation since I was 14, so it wasn’t too surprising that that’s where I ended up. 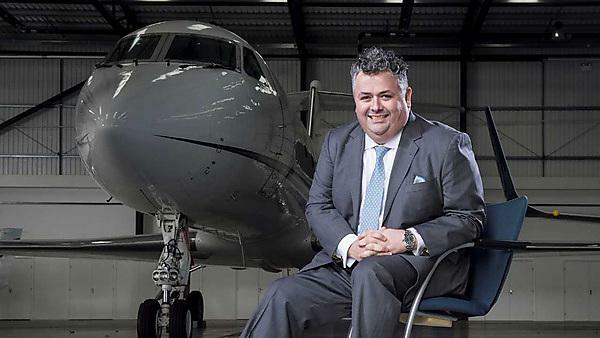 My first job was handling business jets at Luton, and then Heathrow. After that I moved into flight operations for a business jet company with five aircraft. When I left 15 years later I was the Managing Director covering the Middle East and Asia and we had nearly 200 aircraft on the fleet around the world, so I guess we did something right! In 2013 I was approached to join Qatar Airways as Executive Vice President. I returned to the UK in 2016 to start up my own business jet management company with two friends, alongside which we are investors in a number of small companies within the aviation industry, so now I seem to spend a lot of my time in board meetings. No, it’s almost where I thought it would go, which surprises me more than if it had changed! I think cultural change, without a doubt; shaping businesses for growth when they’ve been coasting along is challenging, not always friendly and pretty stressful. It’s been great fun so far with a variety of things that have made me really happy, almost to the point it’s so impossible to single one out. However, starting the business in Dubai, in the middle of the largest recession in generations, and making it profitable is high on the list. In all honesty, I’m very happy with where my career has taken me, so if it’s OK, I’ll stick with my lot. Do it, aviation is one of the best industries to work in and not many people leave it once it’s in their blood. It’s a very relationship-driven industry, so make as many contacts as you can in whichever way you can. Aside from that, in whatever industry you go into, work hard to balance your life and career, time goes by very, very quickly so make sure you enjoy it all! It was a balance really, I liked the fact that Plymouth’s a small, compact and friendly city with easy access to the moors and the sea so it was easy to switch off but when I was studying we had great lecturers who were genuinely enthusiastic about their subjects and naturally that made you want to do your best. Yes, though not as many as I should have. I gave a lecture recently at Cranfield for my old project tutor, Keith Mason, which felt a bit like I’d come full circle! Yes, without a doubt. It’s been great watching the huge development at the University over the past 20 years and the facilities have improved exponentially from what we had. So I’m sure as a student it remains a vibrant, exciting and fun place to live and study. Only one thing really, enjoy every second of university; even at your most stressful moments there it’s unlikely to be anything like the challenges you’ll have when you’re working and one day you’ll hopefully look back on it with rose-tinted glasses like I do!